The original statue of this fine head of Shaka or Amida Buddha is presumable around 32" in height, an excellent example of the Early Edo sculpture in excellent preservation. 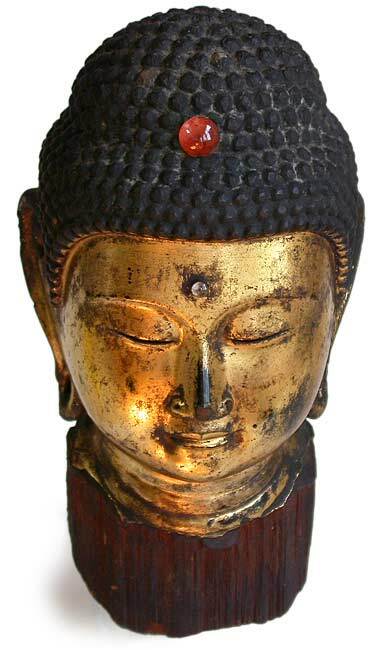 The present example shows Shaka Buddha with a peaceful contemplative expression. 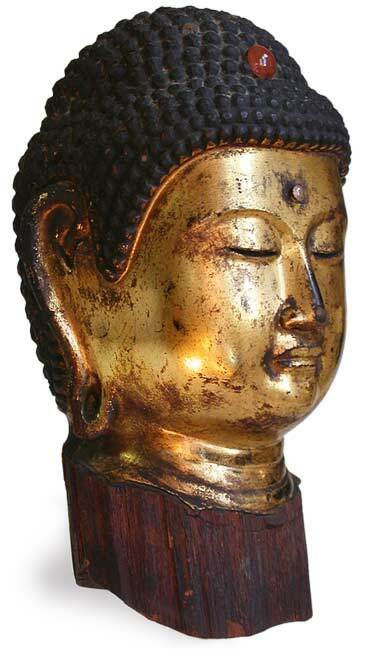 His broad face is typical of Buddhas of the Kamakura period onward. It is carved in clear definition. 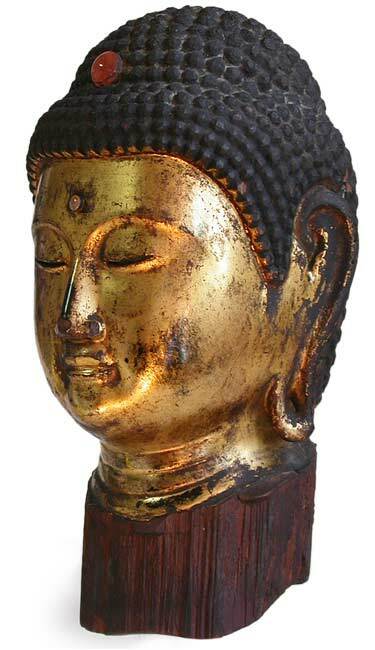 With hair lacquered in black, and face heavily gilded in pure gold, detailed with crystal inlays for both the urna and ushnisha, face framed in two perfectly arched eyebrows that extend almost to reach his temples, pronounced nose ridge against a pair of bow-shaped lips, opened earlobes and small well formed hair curls are elements that indicated the carving is both firm and delicate; a rare find for a serious Japanese antique collector.